I have always been a fan of swaps. In high school, I'd swap friendship books and slams, tea, stationary, stickers, pens, used postage stamps, you name it. They're fun because you get to put together something special for someone, which I always love, and you get present back. The joy of giving and receiving, all in one. 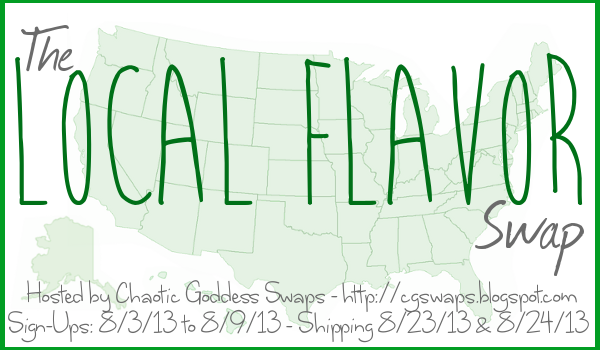 So, when I saw Ruth's post on My Devotional Thoughts for the "Local Flavors" swap being hosted by Chaotic Goddess Swaps, I didn't have any doubts, I just thought, "I have to get in on this!" What you do is, make a package filled with local goodies and treats for your city, area, or state. (Being a Wisconsin girl, my first thought was cheese, but I don't think I want to be sending cheese across the country in August so I'm going to have to get creative.) Then you mail it off to your swap mate. Packages must contain items related to your location. Packages must cost a minimum of $20 and maximum of $30 BEFORE shipping. You MUST post and link up your swap reveal post after receiving your package. This is non-negotiable. Are you interested in signing up? 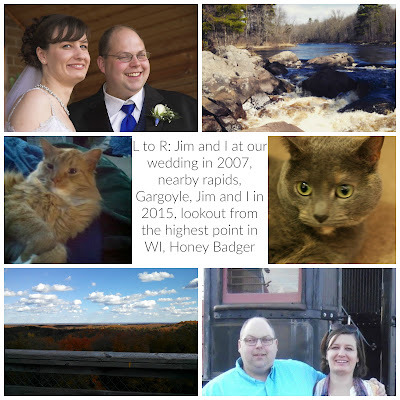 Click here, but be sure to sign up for it before August 9! Thanks for joining us for the swap- it's gonna be a blast!